Sylvia never expected to be at the center of a landmark legal battle; all she wanted was to enroll in school. Aki never expected to be relocated to a Japanese internment camp in the Arizona desert; all she wanted was to stay on her family farm and finish the school year. 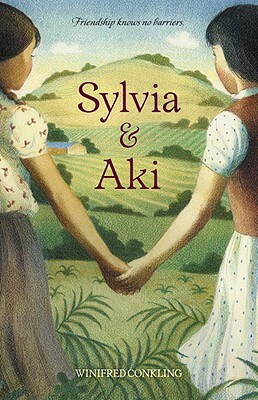 Here is the remarkable story based on true events of Sylvia Mendez and Aki Munemitsu, two ordinary girls living in extraordinary times. When Sylvia and her brothers are not allowed to register at the same school Aki attended and are instead sent to a “Mexican” school, the stage is set for Sylvia’s father to challenge in court the separation of races in California’s schools. Ultimately, Mendez vs. Westminster School District led to the desegregation of California schools and helped build the case that would end school segregation nationally. Through extensive interviews with Sylvia and Aki—still good friends to this day—Winifred Conkling brings to life two stories of persistent courage in the face of tremendous odds. WINIFRED CONKLING studied journalism at Northwestern University and spent the next 25 years writing nonfiction for adult readers, including for Consumer Reports magazine and more than 30 nonfiction books. As part of her transition to writing for young people, she is working toward her Master of Fine Arts in Writing for Children and Young Adults from the Vermont College of Fine Arts. Sylvia & Aki is her first work for children.